I have always left Olivia and her team, for the most part, to their own devices. Generally there is not a lot of trouble around here, some youthful rambunctiousness from the kittens and the odd weasel incursion but nothing that requires the Judiciary Council very often. Recently, however, there have been grumblings and mutterings from certain quarters that we must be doing more to protect ourselves. Protect ourselves from whom that’s what I’d like to know There is no threat to the UK Otter society at the moment! Olivia and the security team along with the all the Otters in the Liaison office do a fantastic job. There is just no need for any of this nonsense! There has been no more mentions of giant armed otters, or apocalyptic otters in the time exploration reports. No mention of anything exciting now I think about it, it has all been details and timetables and meticulously made notes on corridor layouts and the like. Certainly not the sort of thing we need protection against, I say, whoever heard of a threatening corridor! 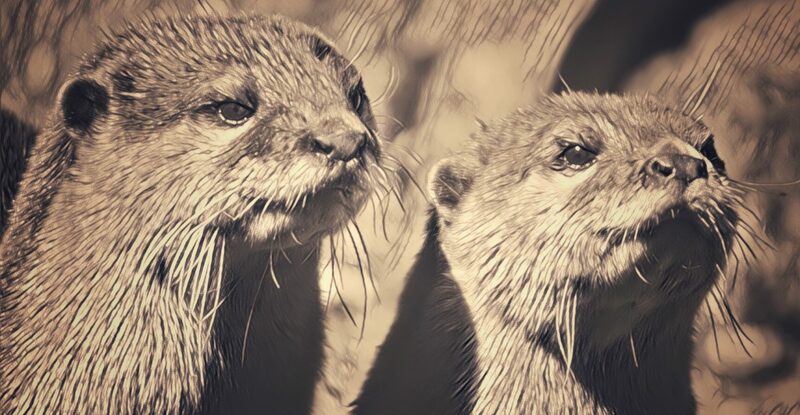 These grumbling chaps at yesterdays meeting were suggesting that with the new quantum transportation / time travel hybrid device, we should be taking the opportunity to keep any eye on other otters in the world, not to mention some of the human foolishness. “Keep an eye on” they called it!! Spying that’s what it is! Spying! We have never had the need or the inclination to spy on other otters! It is an outrageously ignominious concept! I want no part of it! However, if there is going to be any spying going on I want to know what the blasted spies are up to, so I am going to make absolutely sure that no expeditions go out without at lease Zsofia or Peter along to make sure it is all above board! The whole meeting was extremely fractious and troubling. there were Dire warnings from Brian Russetcoat and Penny Paddlepaws about paradoxes and timeline consistency and causal domains. It is easy to cause trouble I am told. The whole thing has me worried and no mistake. I have called to the kitchen for a minnow sandwich and a glass of Donald’s finest whisky to help me think it over!